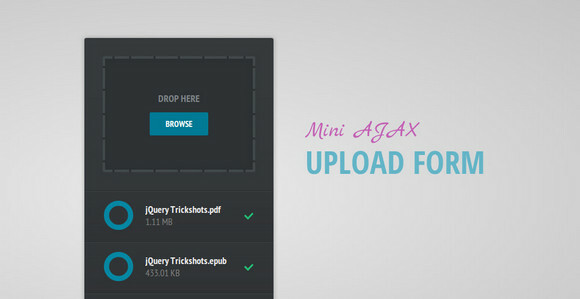 Tutorialzine has shared a tutorial: Mini AJAX File Upload Form, which tell us how to create an AJAX file upload form, that will let visitors upload files from their browsers with drag/drop or by selecting them individually. For the purpose, we will combine the powerful jQuery File Upload plugin with the neat jQuery Knob to present a slick CSS3/JS driven interface. Currently, the files are simply moved to the uploads folder, but you can extend it by adding authentication or creating records in your database.